Running low on storage, then this is the competition for you. On day 16, our prize is a WD Blue 1TB 2.5in hard drive, perfect for an easy upgrade. And one just wouldn't be enough so we have five to give away! The competition winner will be picked at random from all eligible entries that arrive by 09:00 London time on the closing date, January 2, 2018. 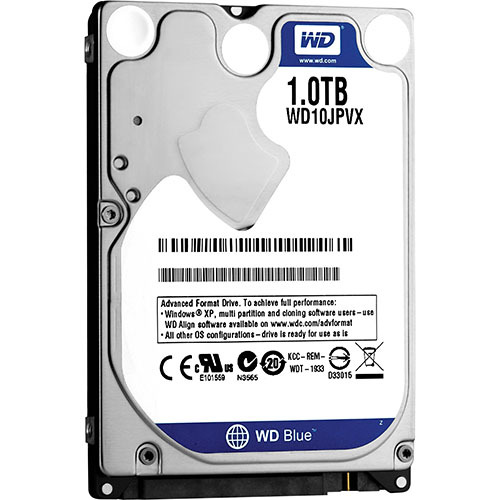 The prize is one of five WD Blue 1TB 2.5in hard drives. Entered, but only because I recently bought an USB3 UASP case for a storage device and it's currently empty. It was hella cheap off the fleabays. It like it hard as much as the next guy, but 1TB is a little too small for me.